Don’t forget, your walls are just as important to decorate as your floor space. 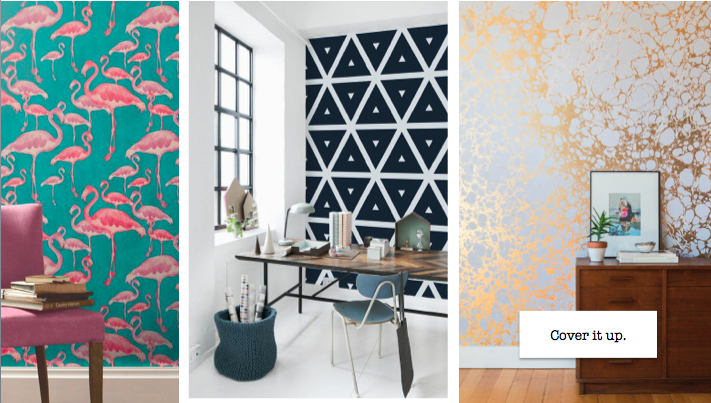 And wallpaper comes in a vast and incredible array of colors, patterns, and textures. 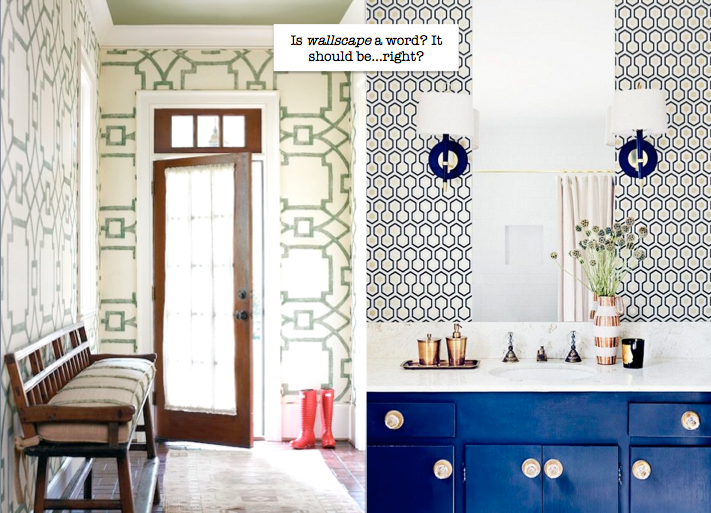 So pick that pattern that makes you giddy – don’t play it safe. Go wild. You can always tone down the furniture in your room if you want to make your walls really pop (think simple, soft, single color furniture pieces to compliment your complex walls). But remember, sometimes less is more. Check out some of these clever thought starters. 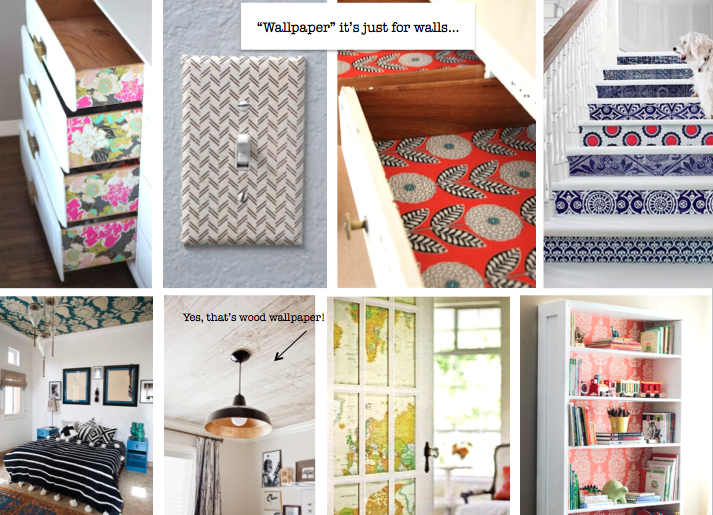 Is anyone else already planning which drawers in your home you can wallpaper the inside of?! A simple detail like painting your crown molding or baseboards can transform your room into something completely and uniquely yours.